Worm Power Turf has been paying dividends for turf managers. Results of using Worm Power Turf has led to more robust root systems leading to a stronger turfgrass system able to better withstand daily stresses. 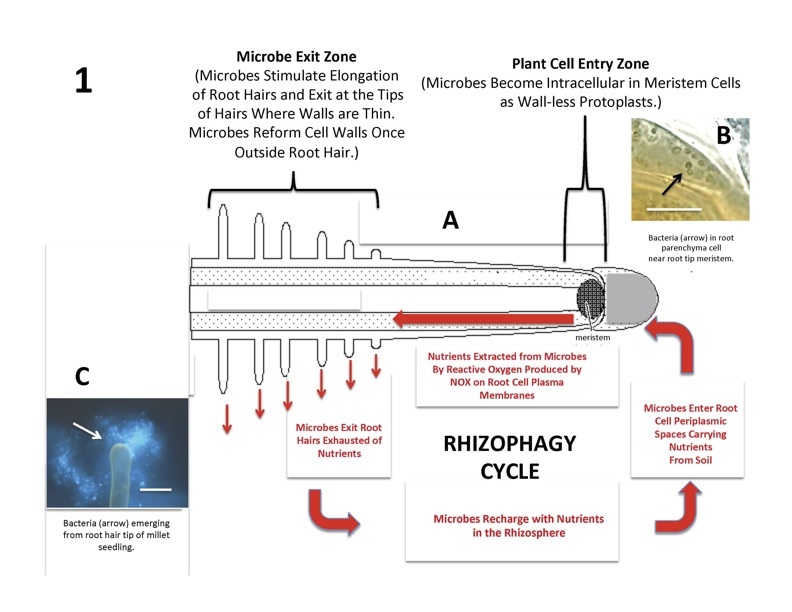 Below is a brief animation on the Rhizophagy cycle. The rhizophagy cycle appears to occur in all plants and may be an important way plants acquire some nutrients. The discovery that plants actively cultivate and then extract nutrients from symbiotic microbes is new. The 50 or so species of plants examined so far show evidence that they engage in rhizophagy. Some of the microbes involved in the rhizophagy cycle increase growth of their particular host plants, but inhibit growth of other species of plants. - lead author James F. White Jr., a professor in the Department of Plant Biology at Rutgers University-New Brunswick.